Oprah magazine reported a worldwide study by a leading Environmental Biologist which concluded, overwhelmingly, the perfect place to live is... "High up, surrounded by grassland punctuated by clusters of trees and having in the distance a view of open water." Eight of the original 24 ocean and mountain view acreages still available. Views that are so big that photos do not do them justice! 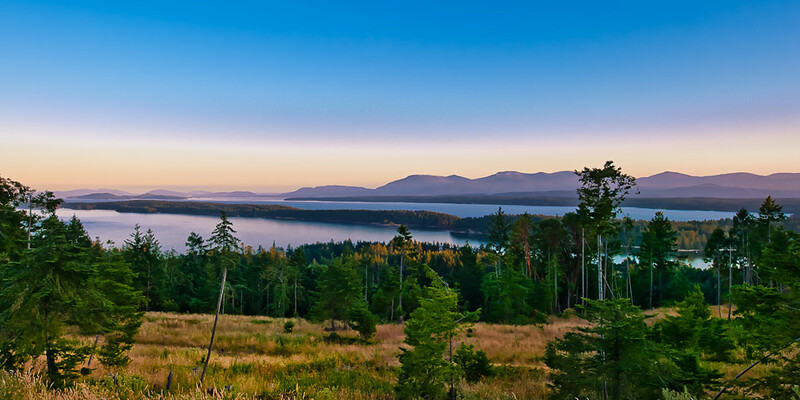 Lots 2, 3, 5, 7, 9, and 12 are south facing with panoramic views that deserve owners who truly appreciate the therapeutic value of such dynamic properties. 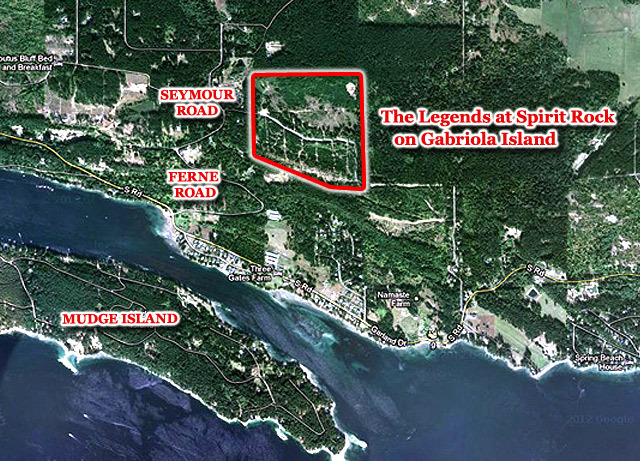 Lots 2, and 3 have both south and north views and may be the most unique parcels in the Gulf Islands. Lot 15 has a 180 degree north facing view with excellent southern exposure providing the North view without the limited sun light. Lot 19 is beautifully treed five acre parcel adjacent to a 160 acre parcel providing privacy and a strong connection to nature with excellent view from the future well placed home. The Legends first phase of 24 parcels is now fast becoming a community of its own. Seven homes unique to each owner, another currently under construction and two more starting this summer. Each of the remaining eight lots are prime properties that beg for owners who truly appreciate the opportunity to design and build their personal home. The Legends is pleased to have had the professional touch of some of the Islands respected builders and builder designers create homes that create a space unique to each home owner that gives the inspiring views a place from which one can truly appreciate the inspiration and rejuvenation that cones from combining a powerful view with your personal design. Chelsom Homes www.chelsomhomes.com , Architrave www.architrave.ca , West Coast Log Homes www.westcoastloghomes.com , McMann Homes have brought years of experience to guide owners through a design build process that allowed the owners to create their own personal masterpiece. These properties can be your blank canvas to create the home that reflects your personal and unique energy; not a house that reflects someone else's vision but a home that is designed and built to capture your love of this amazing place. The Legends at Spirit Rock provides an opportunity for those who have dreams of a personal retreat high on a bluff overlooking the ocean, islands and mountains giving a sense of connection with nature that creates a healthful, recuperative and inspirational environment. Contact Us about any of these great properties today!